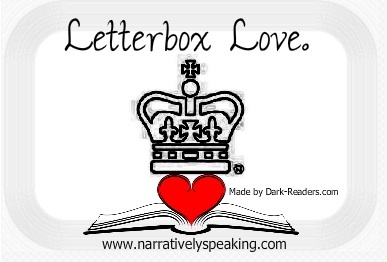 Welcome to Letterbox Love, this is a UK meme, hosted by the lovely Lynsey at Narratively Speakingand inspired by The Story Siren’s In My Mailbox, where we highlight the books we got in the post and beyond. For some reason blogger decided to delete my first draft of this Letterbox Love… so I’ve had to do it again quickly! The Elephant of surprise and Geography Club are LGBT YA, Geography Club was published in 2003 and is due to released as a movie later this year. They were sent from Brent Hartingers Publisher in the US, Buddha Kitty Books, thank you! Finding Cherokee Brown has been on my must read list since I heard about it so I was really happy when it turned up at the mother-in-laws along with Death, which unfortunately is the third in a series which I haven’t got or read. Both books are from Egmont, thank you Egmont! The Extincts has dinosaurs in it… need I say any more? Its aimed slightly younger than what I usually read but I love the sound of it anyway. Thanks Chicken House! I stupidly requested the sequel to this from Netgalley… so I knew I had to buy the first. Thankfully I found the US Hardback for a mere £2.81 second hand so I couldn’t resist buying it! I loved Lisa Greenwald’s other book Reel Life Starring Us so I am looking forward to this! Finding Cherokee Brown is brilliant and doesn’t The Extincts sound like so much fun?! Ooh I love the cover of Death! I really want to read the Extincts, Happy Reading!